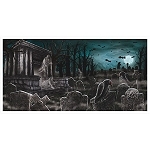 Cemetery Door Decoration will transform your door or other small space into a scary cemetery scene. 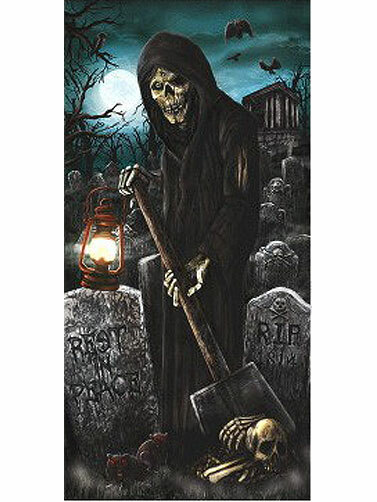 Detailed image of the Grim Reaper burying bones in the cemetery is printed on plastic and can be cut to fit. Hang with tape or similar adhesive. Lightweight and fine for outdoor displays. Cemetery Door Decoration measures 65" x 33.5"